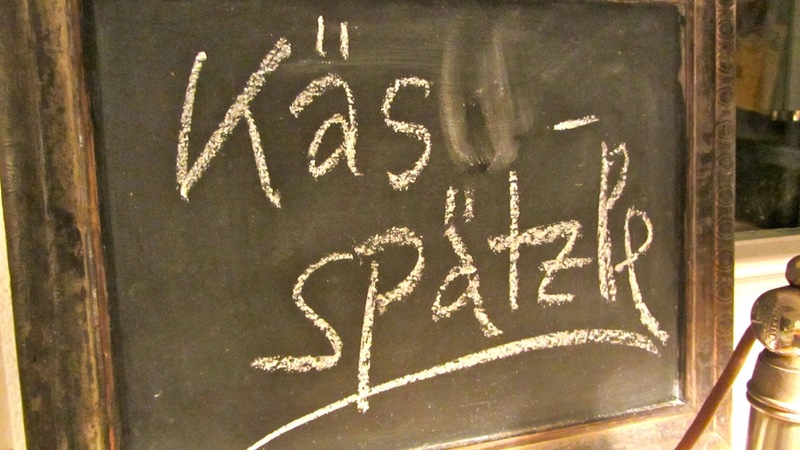 Last weekend we prepared a Käs Spätzle with some friends. What a feast. 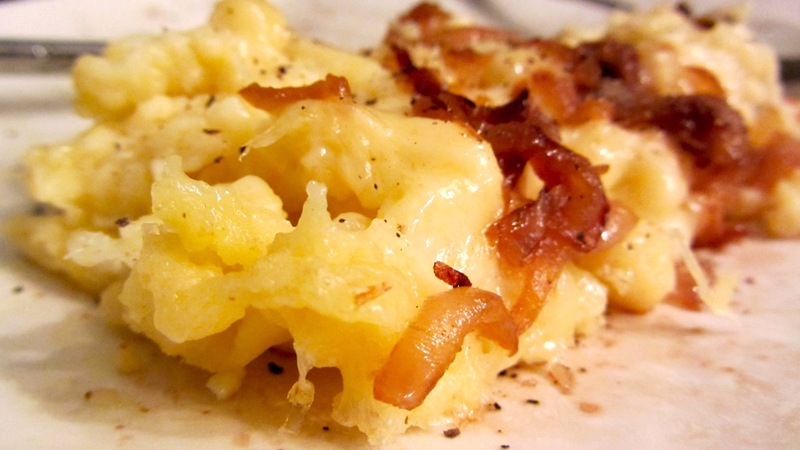 It is a dish best eaten after hard work or a long hike and cold weather outside. We had cold weather but the activities were not too demanding. However preparing this dish and getting the best ingredients is an art form and best done with a lot of friends. First of all you have to find good eggs – best from a local farmer with a strong orange color. Then there is a special spätzle flour, which is quite “rough”, so the spätzle have some “aldente” taste when you bite them. And last of it there is always the issue of how to create the Spätzle. 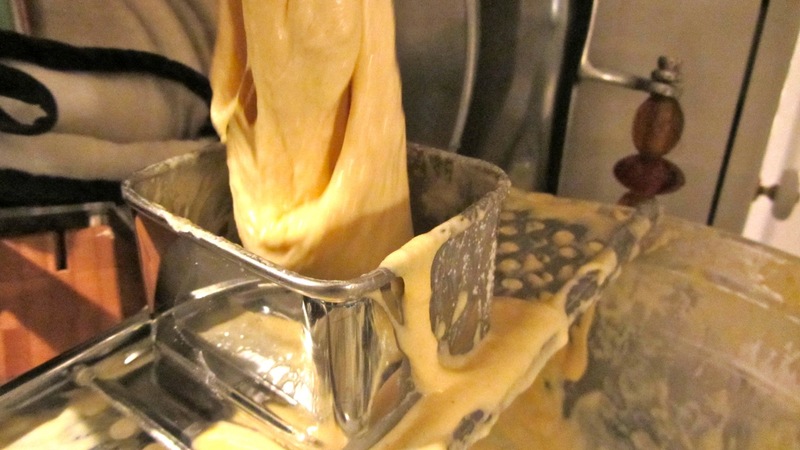 Probably the most used way is with the Spätzle Hobel, it is a device where you fill the dough in a “open box” and by moving it back and forth the dough will be pressed to the holes. They fall in the salted and boiling water and are picked out of it just after about 2-3 minutes – when the swim. 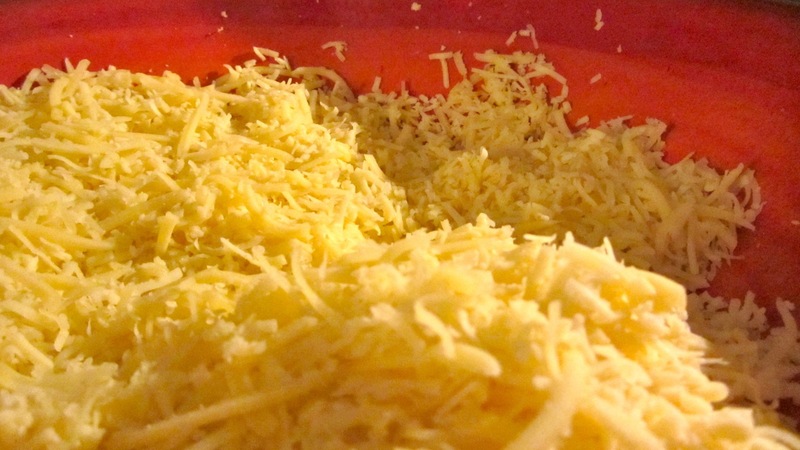 The Spätzle are then put into a casserole in the oven at about 150 Celsius to keep them warm each layer will be covered by lots of cheese. When you are finished lots of roasted onions with lots of melted butter will be put on top. Do also not forget to have some good Schnaps/Spirit handy for to “help” you digest all this lightweight meal. 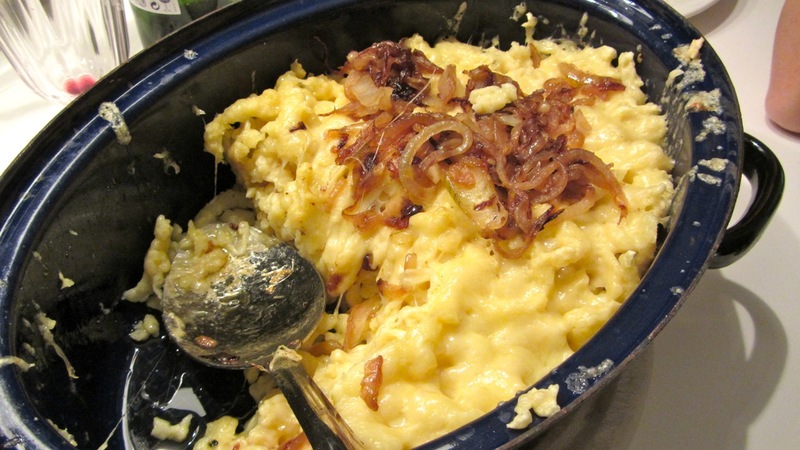 The recipe for the Spätzle is quite simple take a lot of eggs and some flour, mix it together. Best is to only use little water to get the right dough (it has to form bubbles) so its about 2 eggs per 100g of flour I would say. Less is ok, then you add some water. Do not forget some salt. That´s it basically. 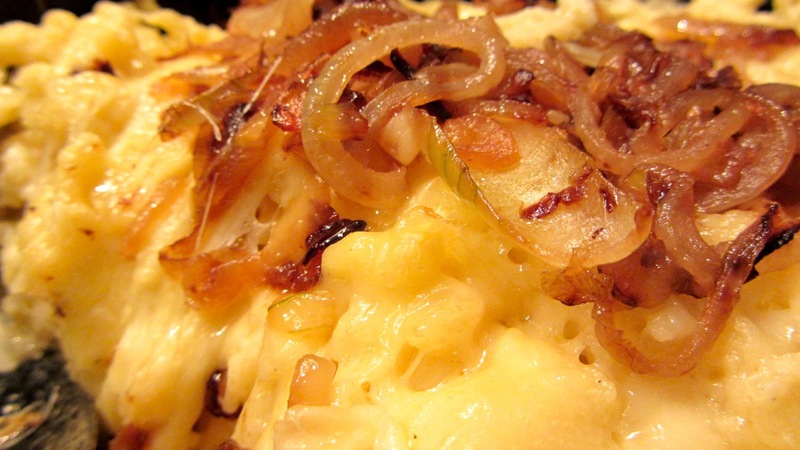 This entry was posted in Food and tagged cheese noodles, emmentaler, käs spätzle, käsespätzle, räschkäs. bergkäs on 31. January 2012 by Alex.